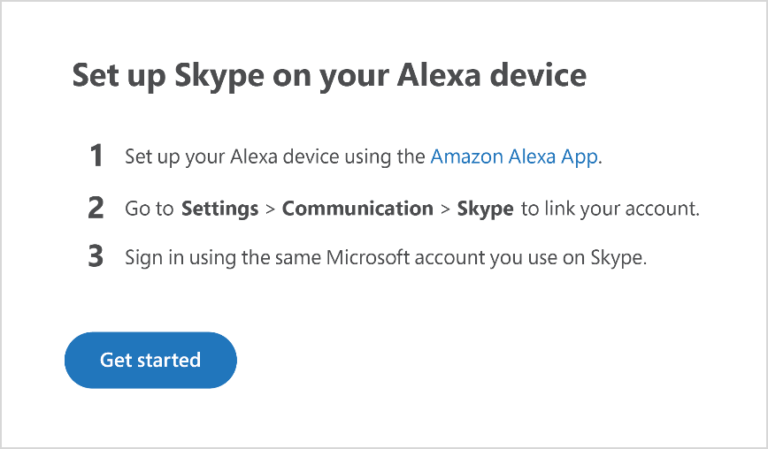 In addition to Skype audio and video calling, Skype is providing the ability for Alexa customers to call most landlines and mobile numbers internationally using Skype to Phone. To celebrate the availability of Skype calling with Alexa, Skype is offering 200 free minutes of Skype to Phone calling to 34 countries (terms apply). After doing this once, you can start using your voice any time you need to make a call. Detailed instructions can be found on the feature page. Skype calling on Alexa is available now in the U.S., U.K., Ireland, Canada, India, Australia, and New Zealand with support for other countries rolling out soon. And for the best Skype calling and video experience, update to Skype version 8.34 or later.